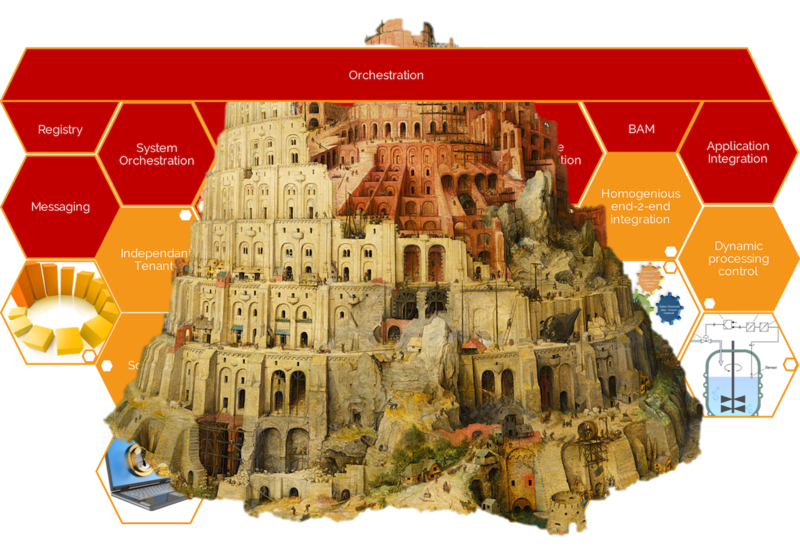 This paper discusses architectural patterns in the field of Automation and Orchestration with special focus to requirements for highly scalable, highly flexible, innovative IT landscapes. Back at a time where cloud computing was still striving for the one and only definition of itself, one key cloud criteria became clear very quickly: Cloud should be defined mainly by virtually infinite resources to be consumed by whatever means. In other words, cloud computing promised to transform the IT environment into a landscape of endlessly scalable services. Today, whenever IT executives and decision makers consider the deployment of any new IT service, scalability is one of the major requirements. Scalability offers the ability for a distributed system to easily expand and contract its resource pool to accommodate heavier or lighter loads or number of inputs. It also determines the ease with which a system or component can be modified, added, or removed to accommodate changing load. A scalable automation solution architecture allows adding and withdrawing resources seamlessly, on demand, and with no downtime of the core system. The importance of a central management architecture will be discussed later in this paper; for now it is sufficient to understand that centralized engine architecture develops its main load scalability characteristics through its technical process architecture. At the same time, command and communication handling should be technically separated from automation execution handling and be spread across multiple “Command Processes” as well – all acting on and providing the same capabilities. This will keep the core system responsive and scalable in case of additional load. With the above architecture, changing load means simply adding or withdrawing physical (virtualized/cloud-based) resources to the infrastructure running the core automation system. With processes acting redundantly on the “separation of concern” principle, it is either possible to provide more resources to run other jobs or add jobs to the core engine (even when physically running on a distributed infrastructure). This should take place without downtime of the core automation system, ensuring not only rapid reaction to load changes but also high resource availability (to be discussed in a later chapter). At any time during system uptime it might become necessary to handle load requirements by increasing the number of system automation endpoints (such as agents) connected to one specific job instance. This is possible only if concurrently acting processes are made aware of changing endpoint connections and are able to re-distribute load among other running jobs seamlessly without downtime. The architecture described above allows for such scenarios where a separated, less integrated core engine would demand reconfiguration when adding endpoints over a certain number. Even if the solution meets the criteria of maximum availability, outages may occur. A load scalable architecture is a key consideration when it comes to disaster recovery. This involves the concurrent boot-up of a significant number of remote systems including their respective automation endpoints. The automation solution therefore must allow for concurrent re-connection of several thousand automation endpoints within minutes of an outage in order to resume normal operations. While load scalability is the most commonly discussed topic when it comes to key IT decisions, there are other scalability criteria to be considered as differentiating criteria in deciding on an appropriate automation solution. One is “Administrative Scalability” defined as the ability for an increasing number of organizations or users to easily share a single distributed system. Logically separating organizational units within a single system. This capability is generally understood as “multi-client” or “multi-tenancy”. Providing one central administration interface (UI + API) for system maintenance and onboarding of new organizations and/or users. Another aspect of administrative scalability is the ability of an automation solution to seamlessly connect endpoints from various organizational sources. In large enterprises, multiple clients (customers) might be organizationally and network-wise separated. Organizational units are well hidden from each other or are routed through gateways when needing to connect. 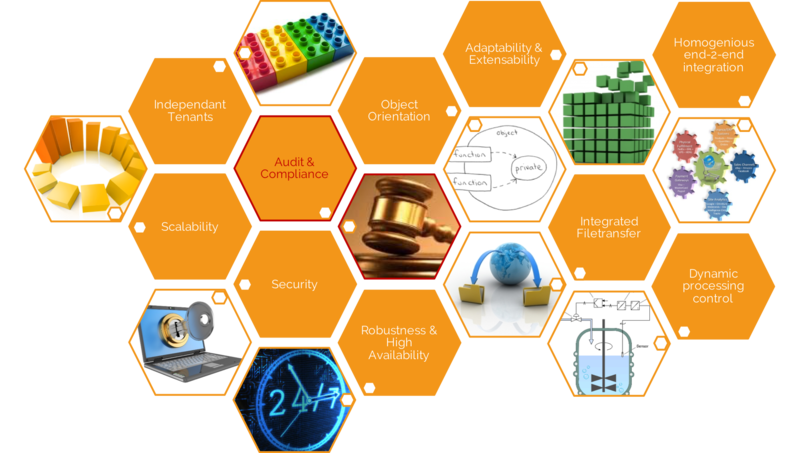 However, the automation solution is normally part of the core IT system serving multiple or all of these clients. Hence, it must allow for connectivity between processes and endpoints across the aforementioned separated sources. The established secure client network delineation must be kept in place, of course. One approach for the automation solution is to provide special dedicated routing (end)points capable of bridging the network separation via standard gateways and routers but only supporting the automation solution’s connectivity and protocol needs. While the previously mentioned selection criteria for automation systems are based on “segregation,” another key decision criteria is based on harmonization and standardization. An automation system can be considered administratively scalable when it is capable of executing the same, one-time-defined automation process on different endpoints within segregated environments. Add an organization and its users and systems seamlessly from any segregated network source. Provide a dedicated management UI including those capabilities which is solely accessible securely by organization admin users only. Define the core basic automation process only once and distribute it to new endpoints based on (organization-based) filter criteria. 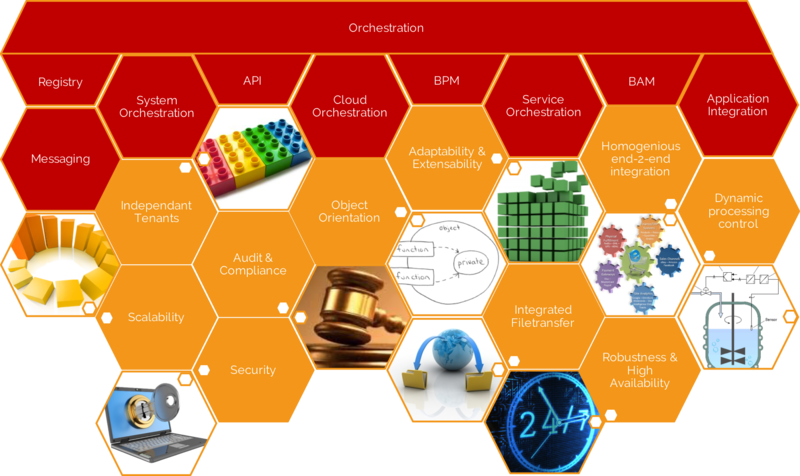 The architecture thereby allows for unified process execution (implement once, serve all), administrative scalability and efficient automation. Functional Scalability, defined as the ability to enhance the system by adding new functionality at minimal effort, is another type of scalability characteristics that shall be included in the decision-making process. Once the basic processes are automated, IT operations staff can add significant value to the business by incorporating other dedicated IT systems into the automation landscape. 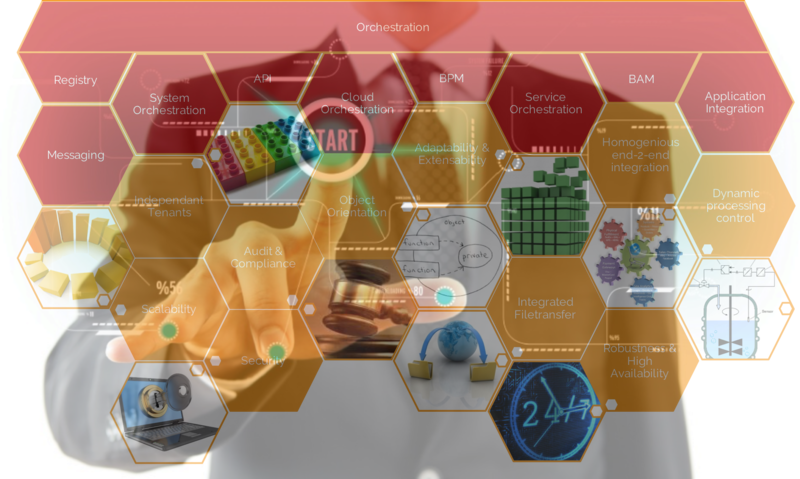 Solution architects are faced with a multitude of different applications, services, interfaces, and integration demands that can benefit from automation. Introduce new business logic to existing automation workflows or activities by means of simple and easy-to-adopt mechanisms without impacting existing automation or target system functions. Allow for creation of interfaces to core automation workflows (through use of well-structured APIs) in order to ease integration with external applications. Add and use parameters and/or conditional programming/scripting to adapt the behavior of existing base automation functions without changing the function itself. A functionally scalable architecture also enables the use of templates for implementing functionality and sharing/distributing it accordingly. Once templates have been established, the automation solution should provide for a way to transfer these templates between systems or clients. This could either be supported through scripting or solution packaging. Additional value-add (if available): Share readily-tested implementations within an automation community. Development-test-production deployment of automation packages. 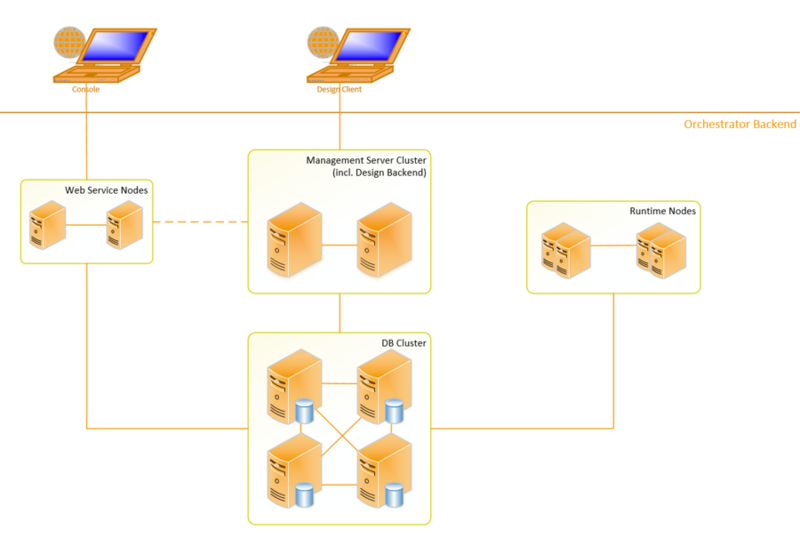 Multi-client scenarios with well-segregated client areas with similar baseline functionality. In today’s object and service based IT landscapes, products that rely on scripting are simply not considered functionally scalable. When using parameterization, conditional programming, and/or object reuse through scripting only, scaling to augment the automation implementation would become time-consuming, complex, and unsustainable. Today’s functionally scalable solutions use graphical modelers to create the object instances, workflows, templates, and packages that enable business efficiency and rapid adaptation to changing business requirements. What is the minimum and maximum workflow load for execution without architectural change of the solution? If the answer is: 100 up to 4-5 Mio concurrent jobs per day without change of principle setup or architecture, one’s good to go. In other words: Scalable automation architectures support not only the aforementioned key scalability criteria but are also able to handle a relatively small scale of concurrent flows equally to an utterly large scale. The infrastructure footprint needed for the deployed automation solution must obviously adapt accordingly. High Availability and Robustness are critical elements of any automation solution. Since an automation solution forms the backbone of an entire IT infrastructure, one needs to avoid any type of downtime. In the rare case of a system failure, rapid recovery to resume operations shall be ensured. Several architectural patterns can help achieve those goals. Robustness and near 100% availability is normally achieved through redundancy which comes by the trade-off of a larger infrastructure footprint and resource consumption. However, it is inherently crucial to base the central automation management layer on multiple servers and multiple processes. Not all of these processes necessarily act on a redundant basis, as would be the case with round-robin load balancing setups where multiple processes can all act on the same execution. However, in order to mitigate the risk of a complete failure of one particular function, the different processes distributed over various physical or virtual nodes need to be able to takeover operation of any running process. 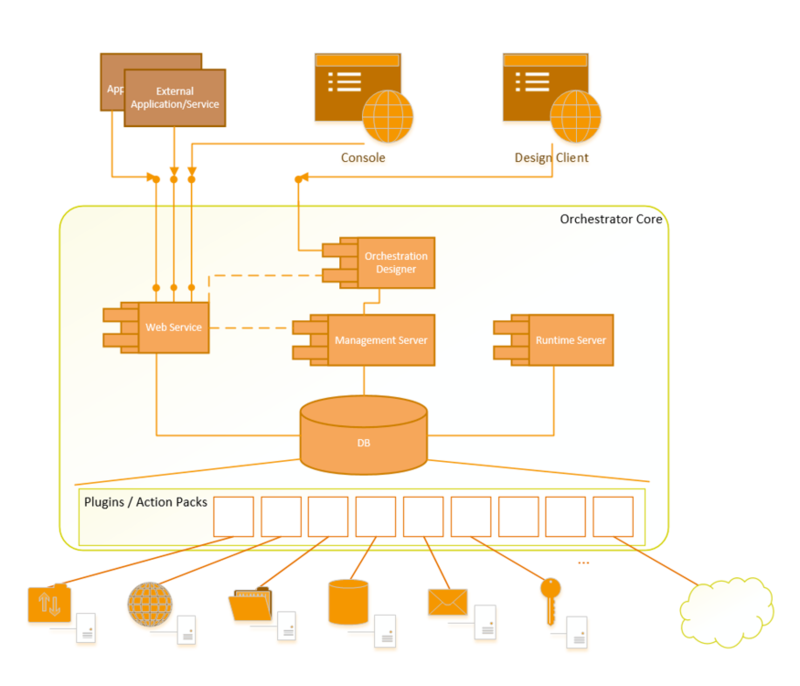 This architectural approach also enables scalability which has been addressed previously. Most of all, however, this type of setup best supports the goal of 100% availability. At any given time, workload can be spread across multiple physical/virtual servers as well as split into different processes within the same (or different) servers. Another aspect of a multi-process architecture that helps achieve zero-downtime non-stop operations is that it ensures restoration of an execution point at any given time. Assuming, that all transactional data is stored in a persistent queue, the transaction is automatically recovered by the remaining processes on the same or different node(s) in case of failure of a physical server, a single execution, or a process node. This prevents any interruption, loss of data, or impact to end-users. 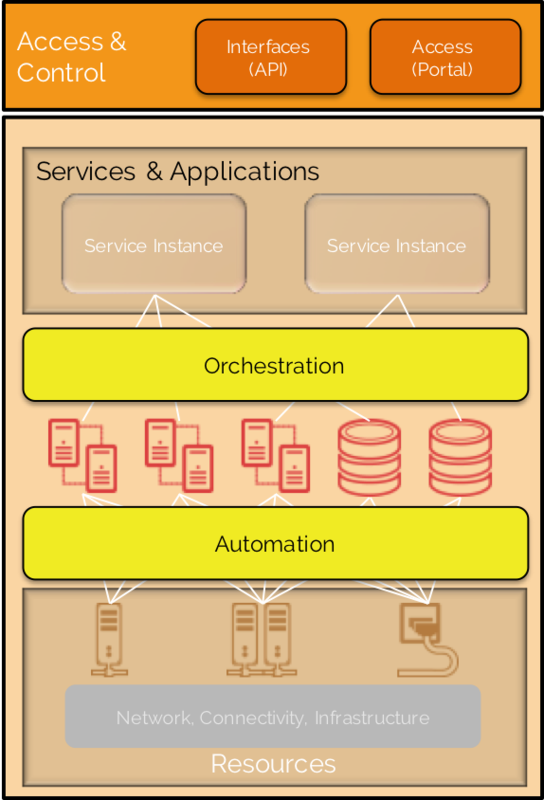 Purposely, the figure above is the same as in the “Scalability” chapter, thereby showing how a multi-server / multi-process automation architecture can support both scalability and high availability. In a multi-server/multi-process architecture, recovery can’t occur if the endpoint adapters aren’t capable of instantly reconnecting to a changed server setup. To avoid downtime, all decentralized components such as control and management interfaces, UI, and adapters must support automatic failover. In the case of a server or process outage these interfaces must immediately reconnect to the remaining processes. In a reliable failover architecture, endpoints need to be in tune with the core engine setup at all times and must receive regular updates about available processes and their current load. This ensures that endpoints connect to central components based on load data, thereby actively supporting the execution of load balancing. This data can also be used to balance the re-connection load efficiently in case of failure/restart. Even in an optimum availability setup, the potential of an IT disaster still exists. For this reason, organizations should be prepared with a comprehensive business continuity plan. 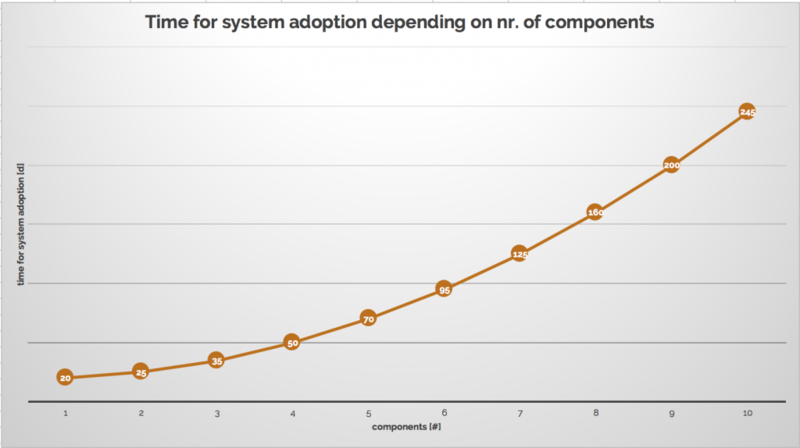 In automation architectures, this does not necessarily mean rapid reboot of central components – although this could be achieved depending on how lightweight the automation solution central component architecture is constructed. More importantly, however, is the ability of rebooted server components to allow for swift re-connection of remote automation components such as endpoint adapters and/or management UIs. These concepts were discussed in depth in the scalability chapter. They allow for small scale setups at a low total cost of ownership (TCO). They allow for large scale setups without entirely changing existing systems. One of the first features of an automation system as described above is a low TCO for a small scale implementation. In particular, the number of endpoints provides clarity about strengths of a high-grade, enterprise-ready, robust automation solution. Software guru Robert C. Martin identified “the first five principals” of object-oriented design in the early 2000’s. Michael Feathers introduced the acronym SOLID to easily remember these five basics that developers and architects should follow to ensure they are creating systems that are easy to maintain and to extend over time. Single responsibility: any given object shall have exactly one responsibility or one reason to change. Open-close: any given object shall be closed for modification but open for extension. Liskov substitution principle: any given live instance of a given object shall be replaceable with instances of the objects subtypes without altering the correctness of the program. Interface segregation: every interface shall have a clear and encapsulated purpose; interface consumers must be able to focus on the interface needed and not be forced to implement interfaces they do not need. Many of today’s enterprise workload automation solutions were developed with architectural patterns in mind, which date back well before the advance of object orientation. In order to avoid the risk of immaturity of the solution, patterns weren’t innovated in some cases. At the same time, the demand for rapid change, target-dependent concretion and re-usability of implementations has been increasing. An object oriented approach can now be used as a means to support these new requirements. Object orientation, therefore, should be one of the key architectural patterns of an innovative enterprise automation solution. Such a solution encapsulates data and logic within automation objects and thereby represent what could be called an “automation blueprint.” The object presents a well-defined “input interface” through which a runtime-instance of the automation object can be augmented according to the requirements of the specific scenario. 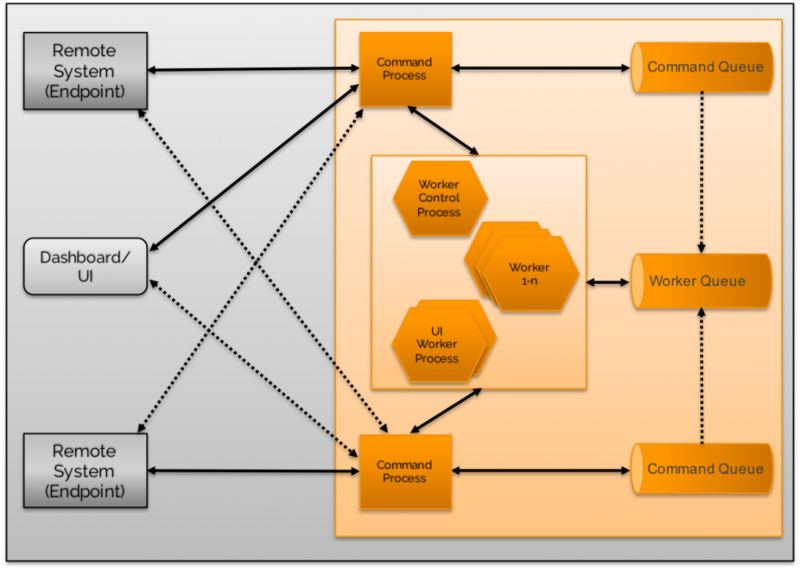 Through interaction with automation objects, an object-oriented workflow can be defined, thus presenting an aggregated automation object. By employing the patterns of object-oriented architecture and design, developers ensure that the implementation of automation scenarios evolves into object interaction, re-usability, specialization of abstracted out-of-the-box use-cases, and resolves specific business problems in a dedicated and efficient way. Enterprise-grade, innovative automation solutions define all automation instructions as different types of objects within any kind of object repository – similar to traditional object oriented programming languages. Basic definition of automation tasks is represented as “automation blueprints”. Through instantiation, aggregation and/or specialization, the static object library becomes the arbitrary, dedicated, business process oriented solution to execute and perform business automation. 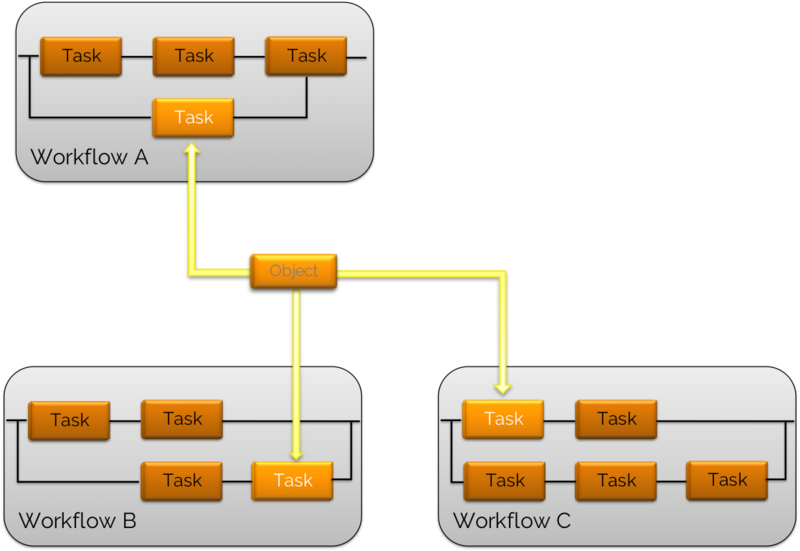 The figure above shows an example of how an object can be instantiated as a dedicated task within different workflows. The following IT-aaS example illustrates an object-oriented automation pattern. The chosen scenario assumes that an IT provider intends to offer an IT service to request, approve, and automatically provision a new, compliant infrastructure service such as a web application server. Object definition: A set of aggregated objects – automation blueprints – define how to provision a new server within a certain environment. The object definition would not – however – bind its capability to a specific hypervisor or public cloud provider. Object instantiation: Request logic – realized for example in a service desk application – would implement blueprint instantiation including the querying (e.g. by user input or by retrieval from a CMDB) and forwarding of the parameters to the objects’ instance. This not only automates the service provisioning but also addresses burst-out scenarios required by modern IT service delivery through integrated automation. The concept of object orientation allows the reuse of automation objects eliminating the need to duplicate information. It also allows the creation of automation blueprints describing the automation logic that is processed at runtime. An automation blueprint can behave differently once it gets instantiated during runtime because of features like integrated scripting, variables, pre- and post conditional logic, and logical programming elements such as conditions and loop constructs. Automation objects’ relationships and dependencies as well as input/output data are set at the time they are defined. Run-time instantiated objects can inherit their input parameters from parent objects. They can also pass parameters from one runtime instance to another as well as to their parent containers. This enables fully flexible multi-processing of business workflows without e.g. being forced to clean-up variables in static containers. Automation blueprint definitions form the basic abstraction of scenarios within an enterprise-grade automation platform. Abstract automation objects get their concrete execution information when instantiated. Object oriented platforms provide the means to augment the instantiated objects at runtime via patterns like prompt sets, database variables or condition sets – in the best case to be modeled graphically; this supports flexibility and dynamic execution. As the concept of object orientation eliminates the need for duplication of automation logic, maintaining automation workflow definitions becomes minor. Typical modifications such as changes of technical user-ids, path/binary name etc. can be performed in a centrally defined object and is applied wherever the object (blueprint) is used. Today’s Automation solutions normally are ready-built enterprise products (or a consumable service) offering out-of-the-box functionality for multiple automation, orchestration, and integration scenarios. On top of this, ease of installation, implementation, and use would be of importance. However, in less than 20% of cases, the automation platform remains unchanged for the first six months. This is why it’s crucial that from the beginning, the selected solution has the ability to extend and adapt in order to serve business needs. 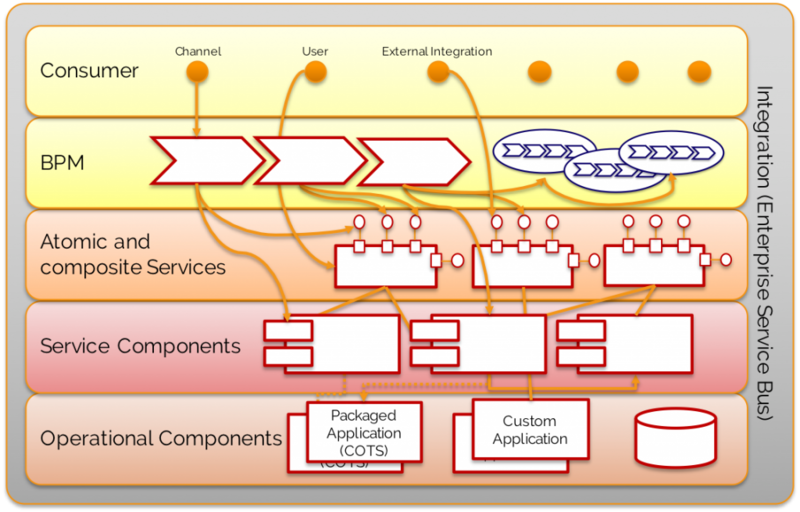 The architecture should be able to leverage technologies for hot plugging integrations and industry-standard interfaces while augmenting standard functionality through dynamic data exchange. Once basic automation workflows for an IT landscape are implemented, avoiding downtime is critical. While some automation solutions may offer fast and flexible production updates, the expectation on top of that is to be able to integrate new system and application adapters on the fly. The first step to this level of integration can be achieved by rigorously complying with the SOLID object orientation principles discussed in the last chapter. Integrating adapters to new system or application endpoints, infrastructure management layers (like hypervisors), or middleware components is then a matter of adding new objects to the automation library. Existing workloads can be seamlessly delegated to these new entities, avoiding the need to stop any runtime entities or updating or upgrading any of the system’s components. Hot-plugging, however, isn’t the main factor in assessing an automation solution’s enterprise readiness. In addition to being able to plug new adapters into the landscape, a truly expandable automation solution must be able to build new adapters as well. The automation solution should offer a framework, which enables system architects and software developers to create their own integration solutions based on the patterns the automation solution encompasses. Such a framework allows for the creation of integration logic based on existing objects and interfaces, self-defined user interface elements specific to the solution’s out-of-the-box templates. Extensions to such a framework include a package-manager enabling third party solutions to be deployed in a user-friendly way. It must also take into account any dependencies and solution versions and a framework IDE enabling developers to leverage the development environment to which they are accustomed (e.g. Eclipse and Eclipse plugins). Herewith, plugging new integrations into an automation solution can expand the automation platform by leveraging a community-based ecosystem of 3rd party extensions. Hot plugging all-new automation integration packages to adapt and expand your automation platform might not always be the strategy of choice. In a service-based IT-architecture, many applications and management layers can be integrated using APIs. This means that an automation solution needs to leverage standards to interface with external resources prior to forcing you into development effort for add-ons. The automation layer needs to have the ability to integrate remote functionality through common shell-script extensions like PowerShell (for Microsoft-based landscapes), JMS (Java Message Service API for middleware integration), REST (based on standard data formats like XML and JSON), and maybe (with decreasing importance) SOAP. Part of the adaptability and extensibility requirement is for the product of choice to be able to process and integrate the results of the resources previously discussed into existing object instances (as dynamic input data to existing workflows) without having to develop customized wrappers or additional interpreters. This can be achieved through either variable objects – their values being changeable through integration like DB queries or Web Services results – or through prompts that allow to set variable values through a user input query. To be truly extensible and adaptable, an automation solution should not only offer manual prompts but it should be able to automatically integrate and present those prompts within external systems. The solution should be responsible for automating and orchestrating IT resources while other systems – a service catalogue or request management application – handles IT resource demand and approval. Together, all of the above forms the framework of an automation solution that can be extended and adapted specifically to the needs of the business leveraging it.